Hello, I want to do Steven Universe dubs for my Youtube channel, but I will need a cast. The deadline stated on here does not apply. It was required for me to put a deadline, but I will accept any auditions past the deadline. For the role: Add a file of yourself saying some lines from the show, or anything you think the character might say. Please speak clearly in your audition. Please don't mumble or speak too fast. It will help me a lot! Please don't send in singing lines. Only speaking for the moment. I will ask you if I need you to send in singing lines. After you're cast: I will need your email, so I can contact you to send you any new comic dubs I will be doing that I need you in. Keep in mind this is a long term thing, so you will have to be committed to it. 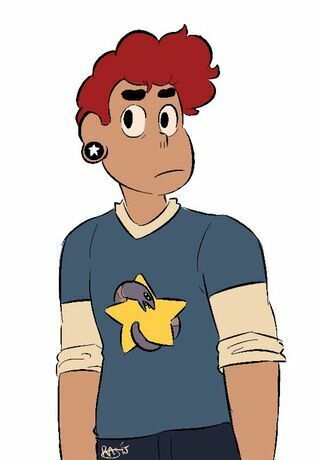 Human Lars! I've been possessed by the most marvellous vision! You... Human Lars... Are gemless! And will be safe from the robonoids! Which only target gems! We can't leave without Lars! Maybe then Lars will reform with a different color! She is a very nervous person. Oh, I hope you weren't followed. You weren't, right, you double checked? *Pause, then gasp* YOU'VE BEEN FOLLOWED! Well what does pink mean? IS LARS GONNA EXPLODE OR SOMETHING!? *Happy* Well, if you insist! Say something from the show or something you think would fit. English accent means British. Garnet has a British accent. But you don't HAVE to have a British accent. I know she's twelve but she isn't a child so I put her as teen. I know Stevnonnie is non binary but they have a female voice in the show, and a female appearance, so to take away confusion, I'm casting a female voice. I know they are non binary but I put female because they are voiced by a female in the show so I am going to cast a female voice. She hasn't spoken in the show yet, but I'll pick one that fits her looks and attitude. I made her ageless because I don't know if she counts as middle age or young adult. Stars is a fan fusion of Steven and Lars. I want to do a dub of an animatic with him in it, and I need a voice for Stars. *Say something you think would fit or something from the video in the description.